Music composers lending their voice for their counterparts has become a tradition in Tamil cinema lately. 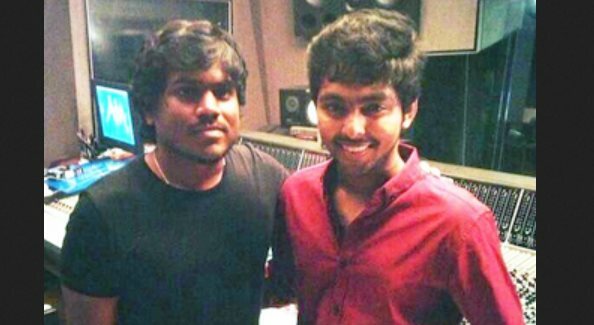 Now composer-singer Yuvan Shankar Raja has crooned a special song in actor-composer G.V. Prakash Kumar's upcoming Tamil romantic-comedy "Trisha Illana Nayantara". The film's director Adhik Ravichandran said the song "Muththam Kodutha Mayakkaari" crooned by Yuvan will captivate youngsters. "We were very sure that this song would do the magic among youngsters. With the electrifying dance moves of Manisha Yadav and Prakash Kumar, the song will make audiences dance in the theatres. It will definitely help the youth to throng the screens," Adhik said in a statement. The film also features Anandhi as one of the leading ladies.